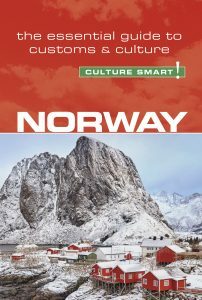 How did you first come to be involved with Norway and Norwegian culture? When I was about ten years old, my best friend went to live on a farm in Norway for several years and my mother and I went to visit. The following year, I did my country report in school on Norway and brought in some souvenirs from my trip to share with the class including an authentic Norwegian troll doll. Who could have imagined then that some twenty years later I would end up living in Norway?! Could you share with our readers an experience you had in Norway which you think conveys something essential about Norwegians and Norway’s culture? Once, in the winter, I took public transit up the hill to the forest trails to practice cross country skiing. At nearly every stop along the way a parent or two was waiting with their young bundled child and a small pair of skis. When the train door opened, the kids and skis were handed off to a caregiver waiting inside the train. The pile of skis grew and by the time we reached the last stop about twenty children (supervised by only maybe two adults!) were ready for an active morning outdoors. On first arriving to Norway, did you commit any faux pas? What in your opinion do most foreigner’s get wrong? It took me a while to learn that smiling at or acknowledging people in public places such as cafés, public transit or on the street would not be met in kind. What I thought was simple friendliness came across as some kind of insanity and was generally met with confusion or indifference. Is there a big difference in culture between the younger and older generation of Norwegians? What would you say is the young generation’s best cultural asset? The older generation seems to have a stronger work ethic while the younger generation is more cosmopolitan and perhaps more materialistic. Young Norwegians are very open to the world and eager to travel and study abroad. What do you miss most about Norway when you are not there? When I am not in Norway I miss the “work to live not live to work” attitude and the extent to which spending time outdoors is a priority. How would you describe Norwegians in five words? Robust, proud, outdoorsy, family oriented, and simple. 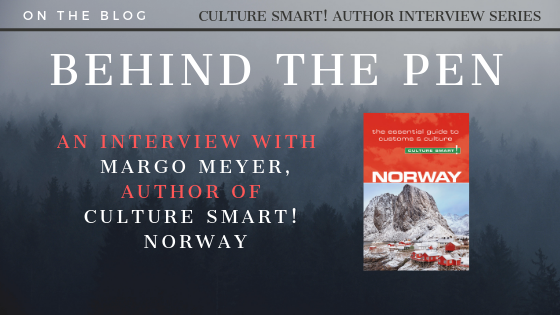 Margo’s Culture Smart! Norway is available now! To mark the title’s publication enjoy 25% off the RRP from our shop throughout January with the discount code NEWCS25. It is also available as an Ebook here.